You’ve viewed so many homes, their features are starting to blend together. This is not ideal for the next stage of the home buying process when it comes time to make an offer. By utilizing simple resources throughout your home search, you can keep tabs on which features are in which homes. This simple checklist for homebuyers outlines things to pay attention to during a scheduled viewing. 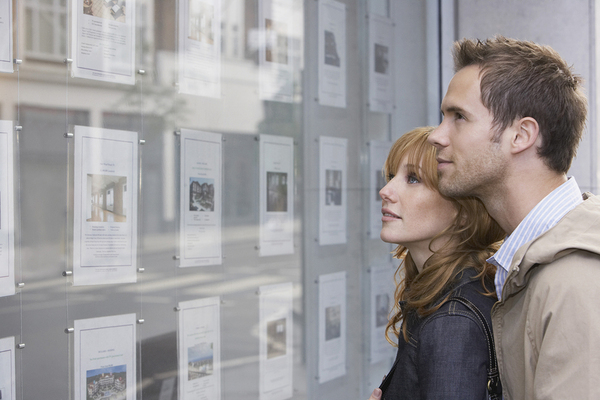 Keep track of the houses you are interested in with this handy guide. One of the hardest parts of the home buying process — particularly for first-timers — is being able to visualize the potential of an existing space. What is essential for you to confirm in the buying process is the infrastructure of the space, not the cosmetic appearance. Walls can be painted, and new fixtures can be purchased, but if you have to rewire an entire house, your expenses can skyrocket. Make sure these elements are top priorities on your home viewing list. Kitchen: The kitchen can be one of the biggest areas of contention when it comes to home buying. Many sellers are willing to upgrade kitchens to make properties more attractive to buyers, but you’ll want to confirm that any renovations were done properly. Look under the sink for leaks, and open cabinet doors to see how they have been installed. Bathrooms: Bathrooms are another area of homes that sellers often update to look more appealing, but you’ll want to pay close attention on your visit to things like water stains, tile damage, and plumbing. Are there signs of leaks behind the toilet? Is the caulking on the tiles worn-through? Again, you want to verify that any issues are not more than cosmetic. HVAC: Depending on the climate you are buying in, confirm that heating and/or air-conditioning systems are installed, upgraded, and working. Especially when it comes to older heating components like boilers and radiators, you want to know when they have been serviced, replaced, and how they have been maintained. Don’t be afraid to ask about utility bills, as this can give you a clue as to whether the HVAC system is energy efficient, or an energy drain. Electrical: You won’t be able to see the internal wiring of the property’s electrical system when you are first viewing it, but you can check to see if it has been upgraded — particularly if you are looking at an older home. Flip on lights and look to see how many sockets are in each room, and whether or not that will meet your needs. Make a plan for the elements you must look at before you even start viewing properties. When looking at home options, avoid being too concerned with elements like paint color that can be changed, but do pay close attention to the exterior infrastructure of the house. Look for water damage, mold, or other elements that may be symptoms of a larger problem. Roof: Replacing a roof can be hugely expensive, so it should be one of the first things you look at when viewing a home. If you can see water damage or missing tiles, this may be evidence of a larger problem. Keep in mind that you may not be able to see the actual condition of the roof on your first visit — this is where home inspections become a necessary component of the buying process. Windows: Replacing windows on occasion won’t be a big expense, but if your new house needs all new windows, you can be looking at massive costs. Check to make sure that you can open windows, and look for any cracks in areas that should be sealed. The age of your windows also matters — newer ones are made to be more energy efficient and provide better insulation, so again, keep in mind the climate and your utility needs. Driveways and Landscaping: If the property has an existing driveway, see what kind of material it is made of, and pay attention to its condition. If you notice an overwhelming amount of uneven bricks or cracks in the surface, refinishing the driveway may not just be cosmetic, there may be an underlying problem with the property. Similarly, landscaping, while cosmetic, is something to be aware of when making your visits. Huge yards or garden areas, or even just naturally growing flora, will need to be maintained — make sure you will be able to afford it, both financially and time-wise. One of the first things you should always do before viewing properties of interest is to figure out what you can afford. To find out what home loan rates you qualify for, answer a few questions here and a home lending expert will contact you.